This article is for users that already have a DoubleClick account. If you don't have an account, please contact DoubleClick to set one up. In order to integrate with Google DBM, head over to Project Settings and click on Integrations on the lefthand side and click Connect. 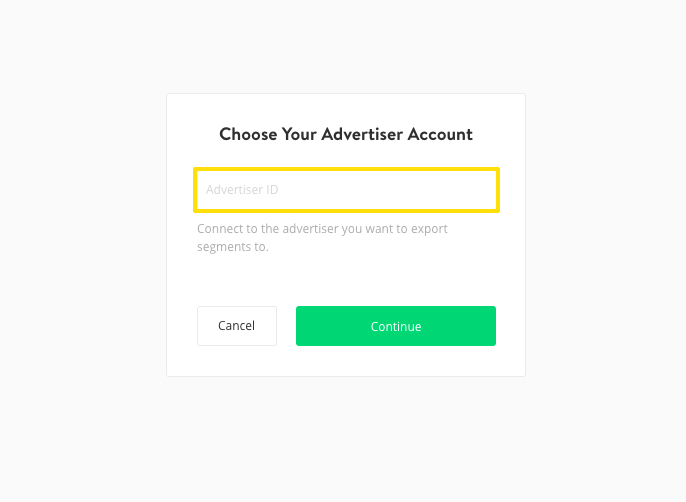 Next, enter your DoubleClick Advertiser ID in the text field that appears, and then click Continue. This will trigger a pairing request to the Support Team. This starts the user ID syncing process with Google DBM. 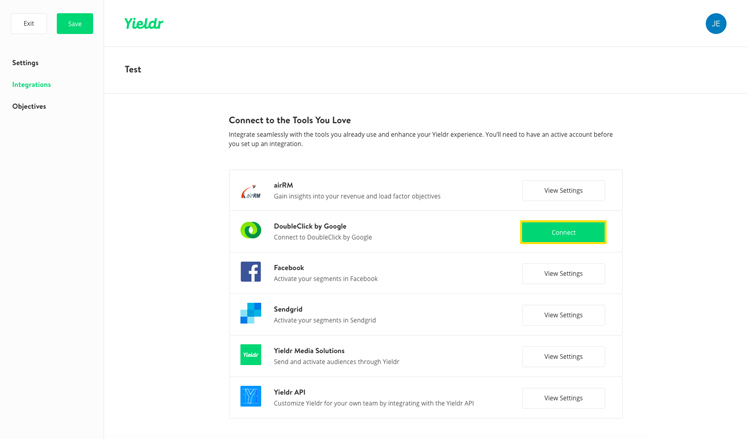 When Google has authorized the pairing, your integration is all set up and you'll be able to send custom audiences to Google DoubleClick Manager. A custom audience will be accessible 2 to 4 hours after exporting it to Google.